Croeso and Welcome to Holcombe House Guest House in Llandudno, North Wales,where genuine, friendly hospitality is extended to all our guests from the resident owners Roy and Jose. 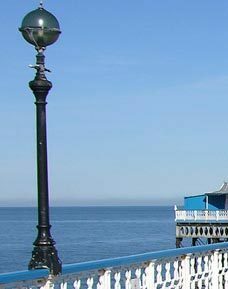 We are a luxury Guest House located in a beautiful, peaceful, central location in Llandudno and we provide excellent quality award winning 5 Star Bed & Breakfast accommodation. Holcombe House Guest House in Llandudno provides tastefully decorated and immaculately maintained accommodation, with 9 luxury en-suite bedrooms having many of the facilities you would expect in a 4 or 5 star high-class hotel in Llandudno.We are thrilled to be one of only a handful rated as a five star Guest House in Llandudno by Visit Wales in recognition of the highest standards of accommodation and service. You are invited to discover why so many of our guests return again and again to Holcombe House Guest House in Llandudno ,whether it is for the welcome drink on arrival, the comfortable beds with crisp fresh Egyptian cotton bedding, the beautiful spacious bedrooms, the freshly prepared tasty breakfasts, or perhaps all of them. We aim to offer guests a touch of luxury , a warm welcome and a personalised service at all times. So if you're looking for a special place to stay in Llandudno, and visiting for business or pleasure, we look forward to welcoming you to Holcombe House 5 Star Guesthouse.We are one of the premier guesthouses in Llandudno and provide a quality bed and breakfast experience. Holcombe House 5 star Guesthouse in Llandudno is a beautiful detached Victorian Town House built in 1853, retaining much of its original character with stained glass windows, ornate plasterwork, Victorian floor tiles and crystal glass chandeliers. It has been lovingly and extensively renovated as a 5 Star Bed & Breakfast Guest House and now combines every modern convenience with traditional elegance. All our nine spacious bedrooms have been completely refurbished ( and continually are ! ) 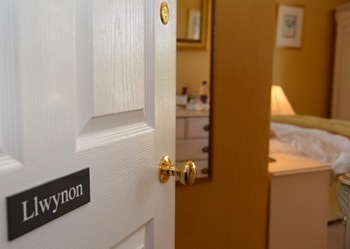 to a very high standard and are individually designed and enhanced with luxury soft furnishings, and have all the facilities you would expect from a 5 star Guest House in Llandudno. All have en-suite facilities with bath and/or shower, copious hot water,fluffy white towels, luxury Gilchrist & Soames toiletries and heated towel rails. We also provide free wireless broadband internet access, off road parking, assistance with luggage if required and a complimentary pick up/drop off service at the rail or coach station by prior arrangement. 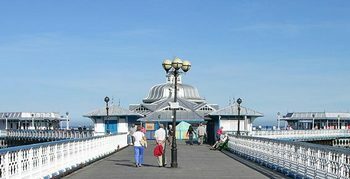 One of Holcombe House's important features is its location,being ideally situated in a quiet tree lined avenue,within five minutes walk from the promenade, Victorian pier, Great Orme Victorian Tramway, restaurants and main shopping centre. Other local attractions such as the excellent Venue Cymru (theatre & conference centre) are all within easy walking distance. We are close to excellent bus and rail links if you prefer to use public transport on your days' out. 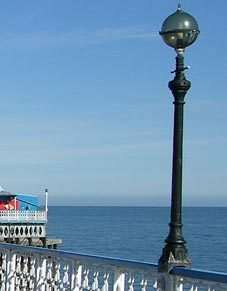 Llandudno is the premier resort in North Wales and is a perfect location for a holiday . No wonder it has been voted as the top destination in Wales, and is the " happiest place in Wales" to live. Llandudno has it all on its doorstep - sea,sand, countryside and mountains, ( we love it! ), but if you want to travel further afield, we are ideally placed to visit all of North Wales including Conwy, Snowdonia, Portmeirion, Anglesey, Caernarfon and Betws-y-Coed amongst many other places. The spectacular Bodnant Gardens and other National Trust properties in North Wales , Penrhyn Castle, Plas Newydd and Erddig ,are all within easy travelling distance. Holcombe House 5 Star Guest House accommodation in Llandudno is a completely NON SMOKING establishment. Thank you for visiting our website and we hope this will help you find that special place to stay in Llandudno. Please feel free to pick up the phone and speak to us in person if we can assist you further. We are more than happy to help you plan your visit as we have excellent knowledge of Llandudno and the surrounding area, and will do our best to ensure your stay is as relaxing and comfortable as possible. A wonderful peaceful location within a couple of minutes walk to the promenade, pier, shops and restaurants. 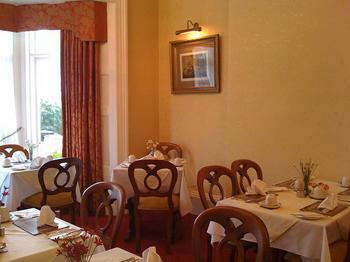 Double/ Twin rooms from £84 per room per night inc. full Welsh breakfast. Single room from £45 pppn. Reduced rates for single occupancy of Double Room. 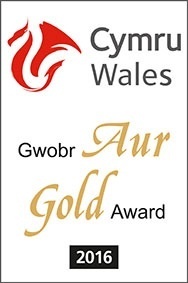 VISIT WALES GOLD AWARD 2013, 2014, 2015,2016 ,2017 gain in 2018. We have been delighted to receive this prestigious award in recognition of the levels of service and hospitality which we offer to all our guests. Stay for 5 nights or more to receive a reduced tariff. Please enquire online or by phone on 01492 876777 - we look forward to hearing from you. Why not send a Holcombe House Gift Certificate ? Please enquire and we can tailor your requirements for that special person. If you are celebrating a special occasion during your stay, and want flowers, champagne, wine ,fruit or chocolates in your. room, please phone 01492 876777 and we can help arrange this for you. LLandudno is to host the above event on Saturday 30th June 2018. To enquire about availability, please contact us directly. Parts of the Great Orme headland have been safeguarded for the future after being bought by the National Trust. Why not visit and walk from our doorstep ?